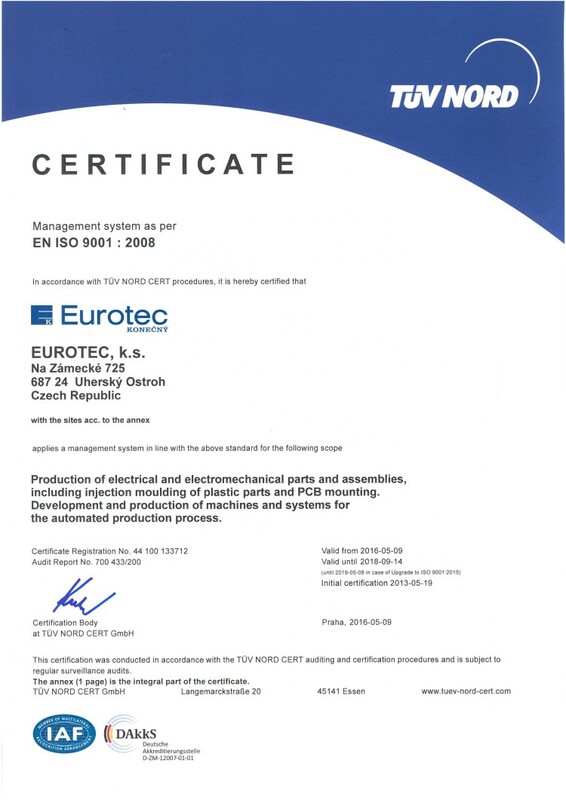 Awards and certificates Awards and certificates - EUROTEC, k.s. Manufacturing of electrical and electromechanical parts and assemblies, including of plastic parts. 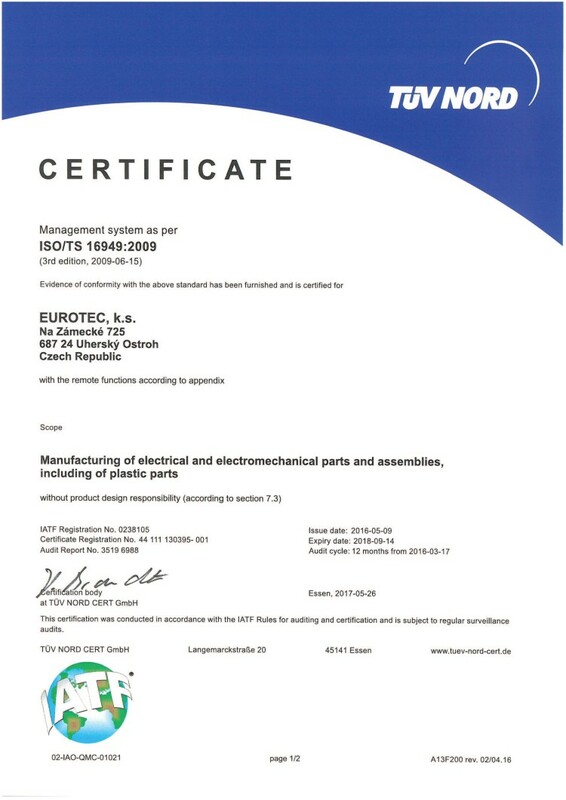 Awarded to Eurotec k.s. and Partec a.s.
Manufacturing of electrical and electromechanical parts and assemblies, including of printed circuit boards. Production of electrical and electromechanical parts and assemblies, including injection moulding of plastic parts and PCB mounting. Development and production of machines and systems for the automated production process. Customer Award by Robert Bosch GmbH. Eurotec / Konecny received the award in the electronics / electromechanics category. On 16 July 2015, Eurotec, k. s. / Konecny Gerätebau received the prestigious Bosch Global Supplier Award 2015 from its customer Robert Bosch GmbH. The company received the award in the electronics / electromechanics category. In total, awards were given to 58 suppliers from 11 countries. This was the fourteenth year of prizes for the best suppliers. This award is granted by Robert Bosch GmbH for extraordinary performance in the area of production and supply of products or services – with a special focus on product quality, costs, logistics and innovation. “The Bosch Global Supplier Award is awarded to our best suppliers, who have significantly contributed to the success of Bosch”, said Dr. Volkmar Denner, chairman of the board of Bosch, at the occasion of the award ceremony.